Join today’s makers and thought leaders for the three-day, cross-cultural me Convention and explore the future through the lens of technology, art, and design. 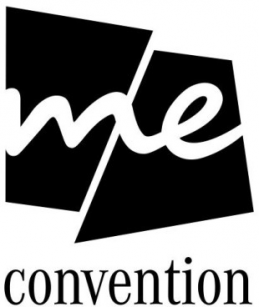 Explore the entrepreneurial spirit of vibrant Stockholm at the me Convention this September while immersing yourself in countless events and thrilling highlights at various hotspots. Hear from 100+ inspirational speakers. Participate in keynotes, talks, workshops and exclusive one-to-one mentoring opportunities. Uncover hidden tech hubs with our Start-Up Cities track featuring insiders from 20 different countries. Enjoy a special film and music program. Network with innovators and icons in film, art and tech to take your career to the next level. Let loose at nightly parties and performances by international acts.